Beau 2P in Nice old building, completely renovated loft style, located in the lively and trendy Port of Nice, up to 4 people. fully equipped kitchen opening onto the living room with a double bed 140x190, dining table, flat screen TV, chesterfield sofa. separate room overlooking a small courtyard with a double bed 140x190. Fitted bathroom with a large walk-in shower with 2 basins. separate toilet. WiFi access throughout the apartment. secure parking (garage) on request. 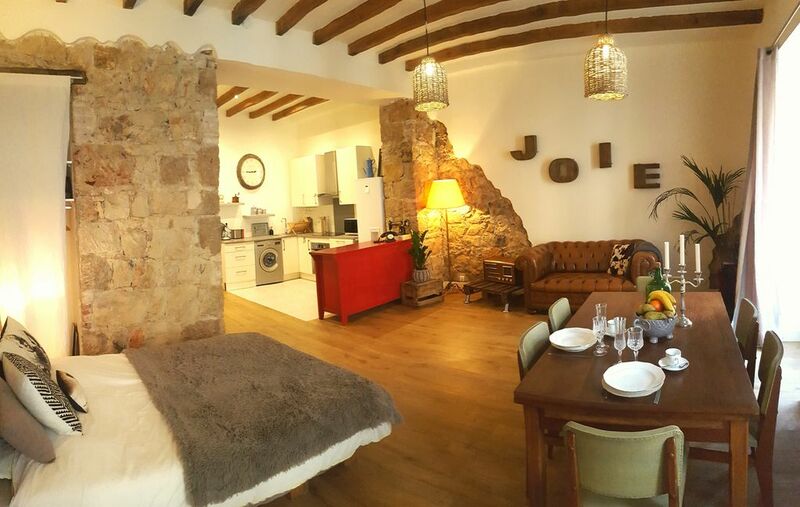 Ideally located in the heart of the Port area, a lively, trendy expanding, with its many small bars, restaurants, shops, parks, cafes, wine bars, walk from the apartment (the nearest restaurant located in the corner!). You can also enjoy the nice most famous socca which is just down the building! Off to the direct airport shuttle (line 100) a 1-minute walk from the apartment. And in a few minutes walk you can of course access to the beaches! This was a beautiful stay in a gorgeous apartment. We had a perfect stay in Nice at this gorgeous apartment. The location was excellent, the apartment modern and comfortable, and the option of a (small) parking spot was essential to our visit. I would recommend this apartment to anyone looking for a stay in Nice that is close to the port and tucked slightly away from the beach. Possibilité de location d'un garage en supplément (box fermé sécurisé) sur demande au moment de la réservation.